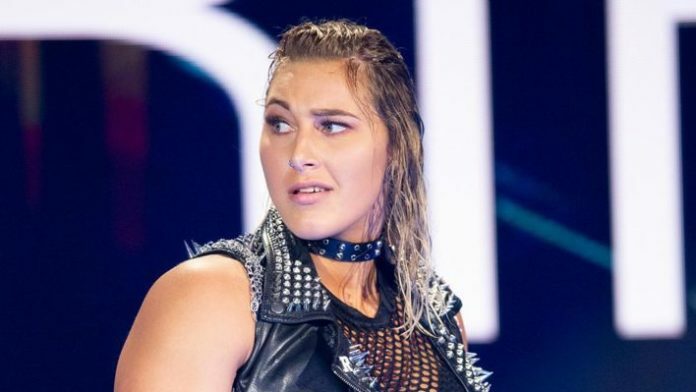 Rhea Ripley is off to the semi-finals of the Mae Young Classic, whether that’s how things were planned or not. In the episode which aired this week, Tegan Nox suffered a knee injury causing her match with Ripley to be stopped prematurely. Ripley also responded to Nox’s injury on social media. First, she commented on how in honor of her Mae Young Classic opponent from Wednesday, she would be focussing on leg workouts at the gym. In honor of my win on the #MYC yesterday against @TeganNoxWWE_ today at the gym I did… LEGS! ? Rhea Ripley is a 22-year-old Australian who was signed by WWE shortly after she competed in the Mae Young Classic last year. Before signing with WWE, Ripley competed for Riot City Wrestling in Adelaide, South Australia. She is a former Riot City Wrestling Women’s Champion.